I just wanted to take the opportunity to wish every reader of this blog a very Happy Easter - and a Happy Passover! There are so many talented and creative people who read this blog from all over the world. 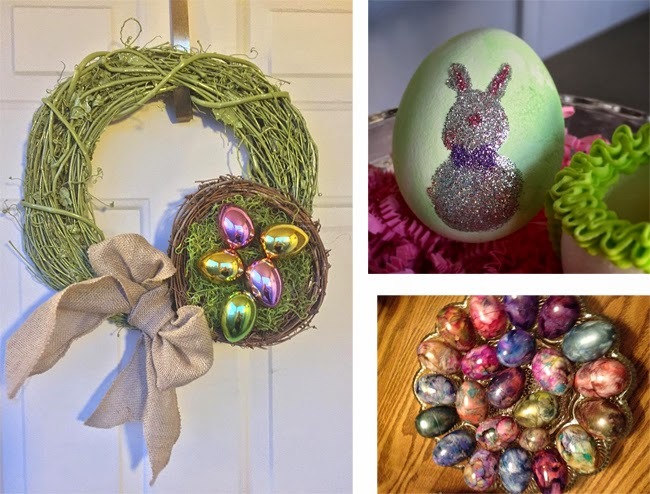 I wanted to share the amazing Easter crafts and decor ideas some of these readers have created this weekend and shared with Martha Moments. I hope you have enjoyed your long weekend! Happy Easter! 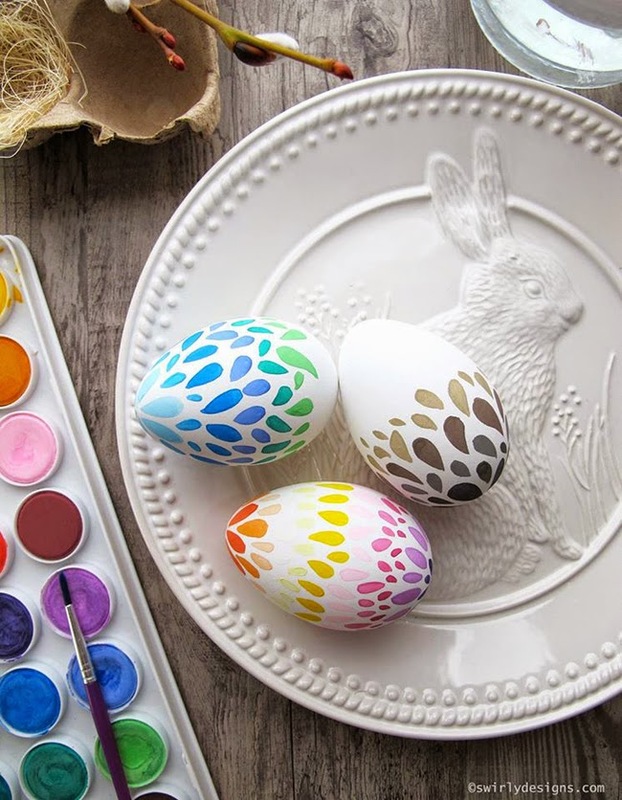 Paul Stoddard and his wife Lianne, of swirlydesigns.com, created these very pretty eggs using watercolor paints. David Pantoja of the Good Things By David blog is basically a baking genius and created these spectacular Easter cookies. John Roberts created this very pretty Easter wreath using grape vines. Jay Zappolo used fancy glitter on this Easter egg (top right) and Jim Eber marbleized these plastic eggs using Ranger Alcohol Inks. 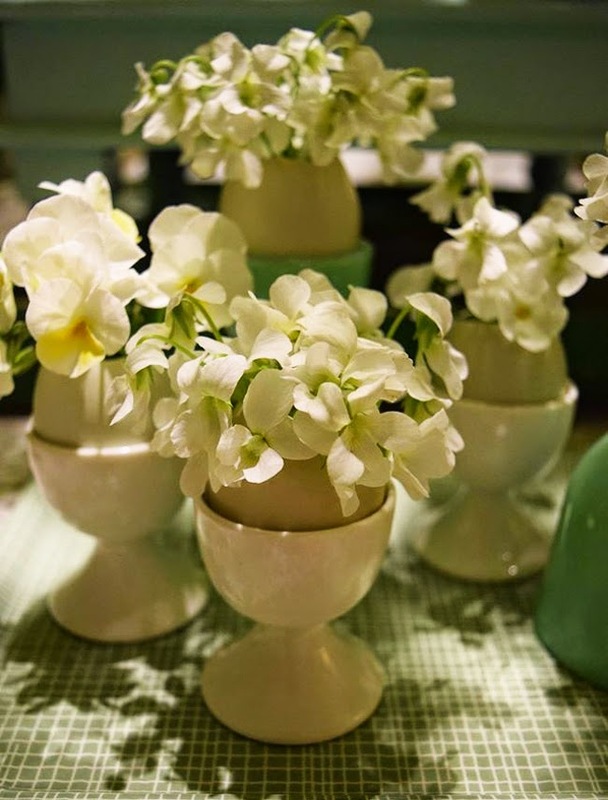 Bernie Wong made a lovely display using blown-out egg shells that he fashioned into miniature vases for white wild violets and violas. 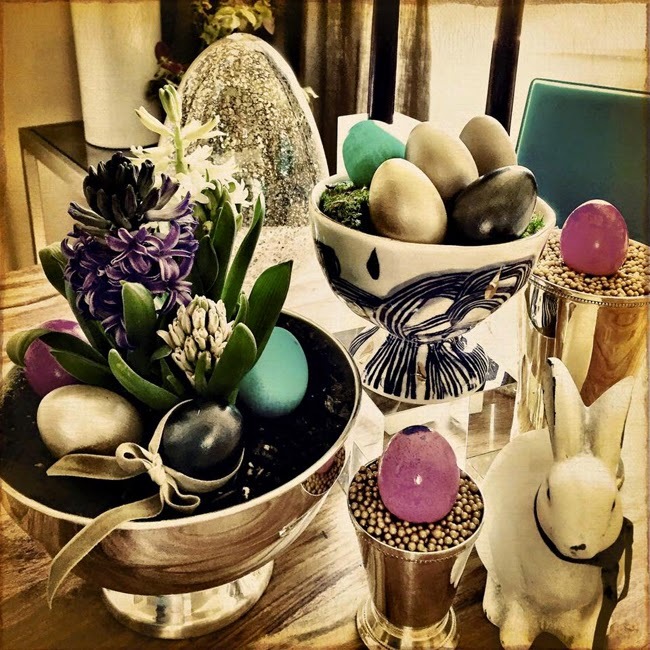 A very pretty and modern Easter display by Alirio Pirela. These are all SO creative and beautiful...great jobs!